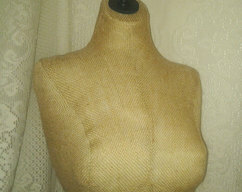 Measurements on life size bust is 16 inch across the shoulders, bust is 34 inch, waist is 24 inch, and just at 18 inches tall from neck to waist. Other sizes available please feel free to contact me with any questions or requests. 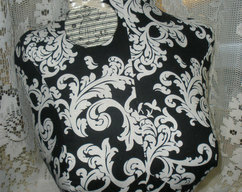 Easy to carry to craft fairs or trade shows weighs 4 lbs. 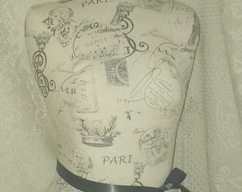 Vintage inspired, boutique dress form display to the waist inspired by Pottery Barn. Great attention getters, both as boutique displays. 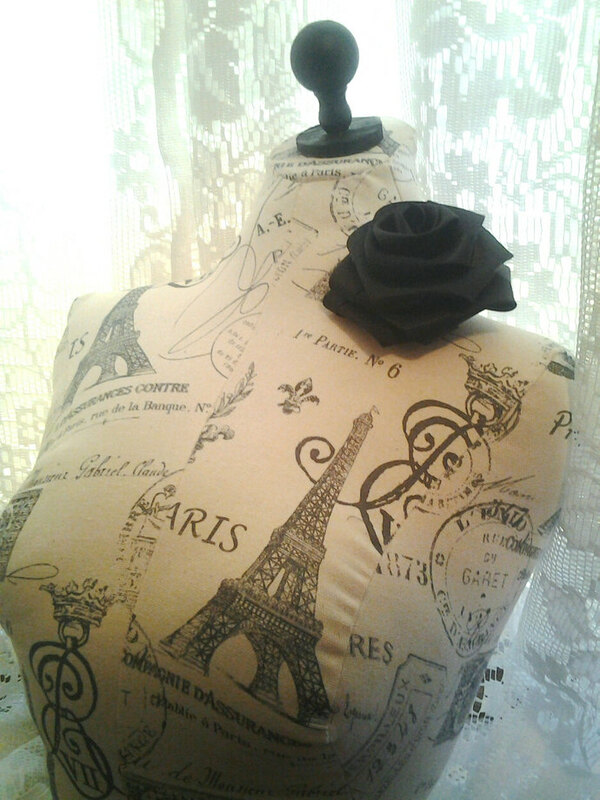 Life size torso designs available in modern and vintage prints. 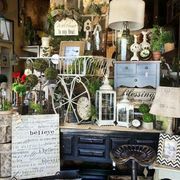 These eye-catching figures are stunners as window displays for antique stores with vintage jewelry and/or lace shawls.Solid wood pedestal stand available in white, black, and oatmeal. CREDIT AND DEBIT CARD CUSTOMERS â There is no need for a PayPal account to pay for your items through PayPal. Just choose the PayPal option during checkout. After you submit your order, click on the "pay now" button. Scroll down and you will see the option to pay with credit or debit card without having to sign up for a PayPal account. 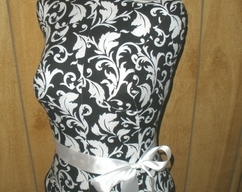 More dress form styles in modern and vintage prints.